Pink stopped by 'The Ellen Degeneres Show' on Wednesday and confirmed that she and husband Carey Hart are expecting their first child. 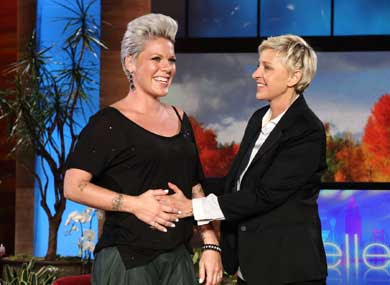 “I didn’t want to talk about it because I was just really nervous and I have had a miscarriage before but if I was going to talk about it with anyone, it was going to be with you,” Pink told Ellen. Congrats to Pink and Carey we wish them a successful and joyful pregnancy.